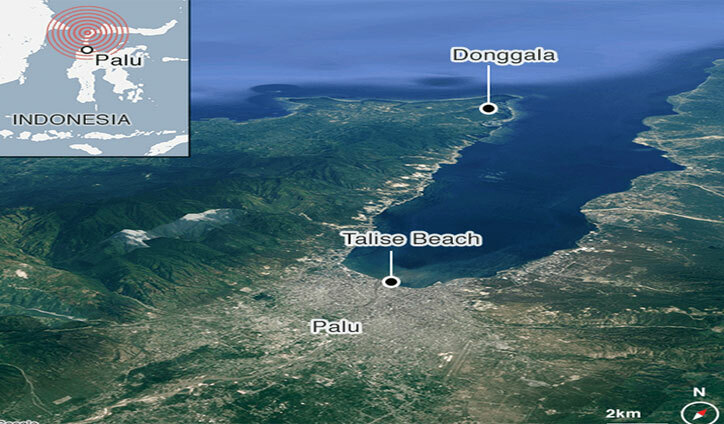 Desk Report: Scientists are getting closer to understanding the tsunami that struck Palu in Indonesia in September. Damaging waves rushed ashore after a Magnitude 7.8 quake, but researchers said at the time that they were surprised by their size. Now, a survey in the bay in front of the Sulawesi city shows significant subsidence of the seabed. This likely contributed to the abrupt displacement of water that then crashed ashore. More than 2,000 people lost their lives in the disaster. Preliminary results of various investigations are being reported here at the Fall Meeting of the American Geophysical Union - the largest annual gathering of Earth and space scientists. The quake occurred on what is called a strike-slip fault, where the ground on one side of a rupture moves horizontally past the ground on the other side. It is not a configuration normally associated with very large tsunamis. Nevertheless, this is what happened in the early evening of 28 September, around prayer time. Two main surges of water were observed, the second being the biggest and pushing up to 400m inland. Udrekh Al Hanif, from the Indonesian Agency for Assessment and Application of Technology (BPPT) in Jakarta, told the meeting that the generation source of the tsunami had to be very close to the city because of the short interval between the onset of the quake and the arrival of the high water - less than three minutes.